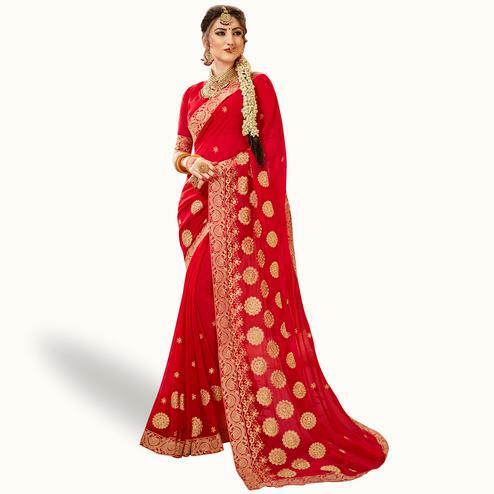 Keep your looks lively wearing this turquoise colored party wear embroidered georgette saree. 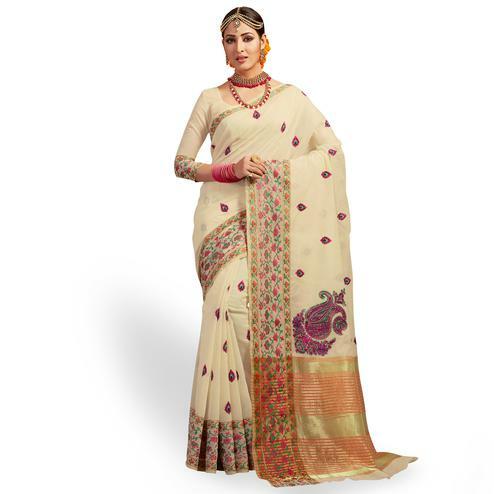 The saree is made from georgette fabric and has embroidery all over. 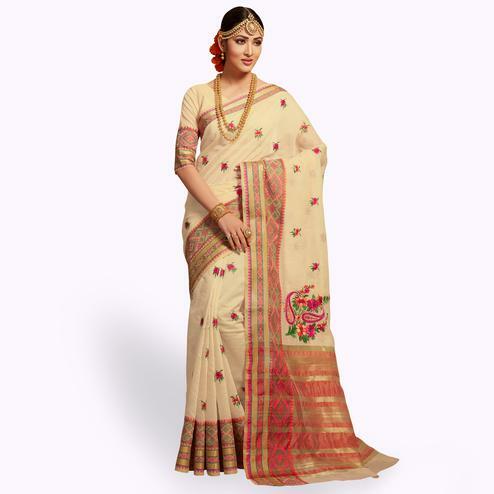 The saree also has a banarasi silk border and beautiful banarasi silk blouse which is so appealing to the eyes. 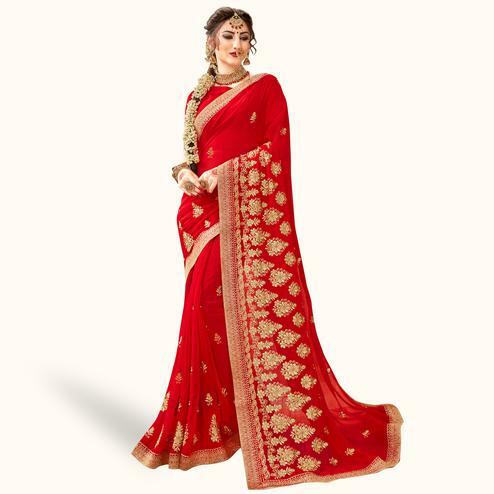 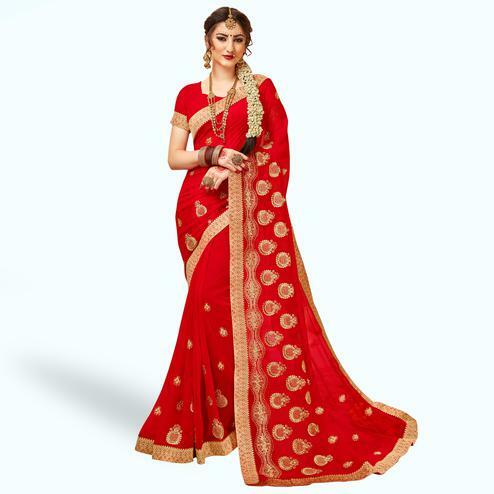 The saree is perfect for those who love bright colors with embroidery work. 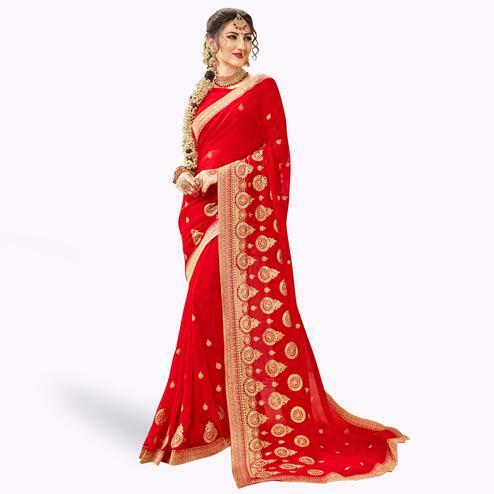 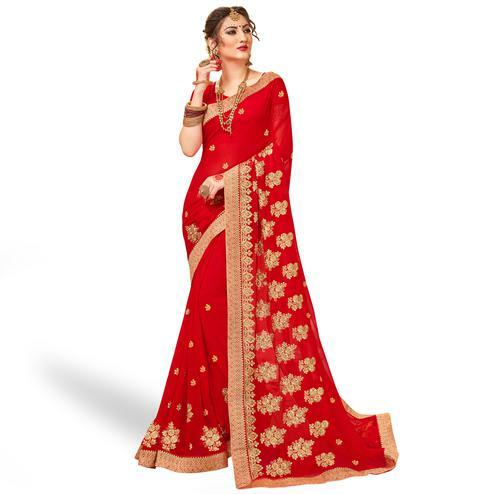 The saree is comfortable and easy to wear for your functions. 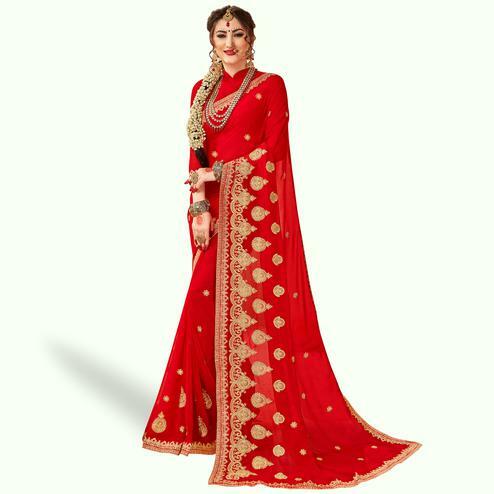 You can wear this at parties, social gatherings, family functions, wedding events. 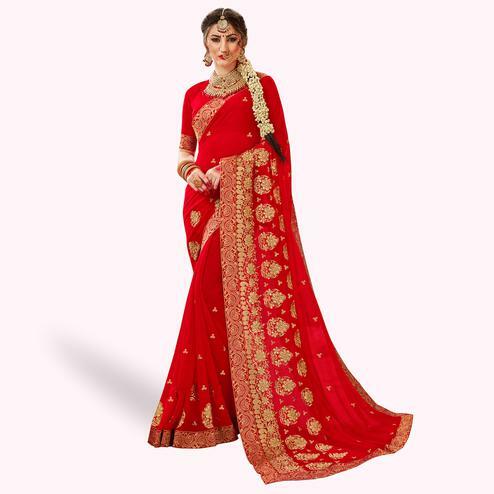 Pair this with beautiful gold jewellery and heels and you will will look gorgeous.